Lemon mint is now considered a variety or cultivar of the Old World M. aquatica and rarely escapes from cultivation. Collected in open ground in Alpena and Chippewa Cos. in 1913 and 1914 respectively by C. K. Dodge. More recently, collected in Alcona Co. (D. Garlitz 263 in 1986, MICH) along a stream in an aspen-birch woodlot. MICHIGAN FLORA ONLINE. A. A. Reznicek, E. G. Voss, & B. S. Walters. February 2011. University of Michigan. Web. 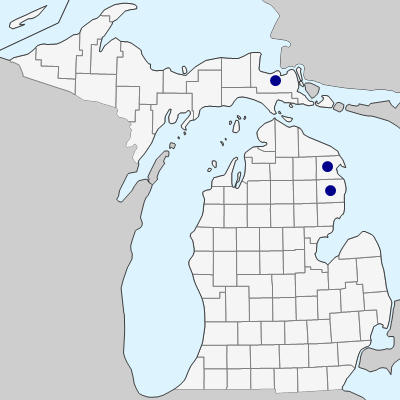 April 20, 2019. https://michiganflora.net/species.aspx?id=1566.